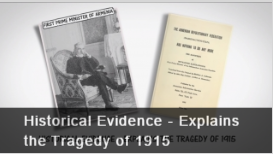 FALSE: The events of 1915 constitute a clear-cut genocide against the Armenian people. There is no legal consensus to support the Armenians attempts to portray these actions as a willful, deliberate attempt to commit genocide of the Armenian people – a specific crime defined by international law. Despite being given multiple opportunities to do so, international courts have never designated these tragic events as genocide. FALSE: The events of 1915 were a systematic attempt to eliminate an entire race. 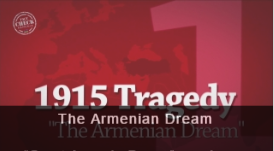 The events of April 1915 were triggered in response to years of violence perpetrated by Armenian separatists. 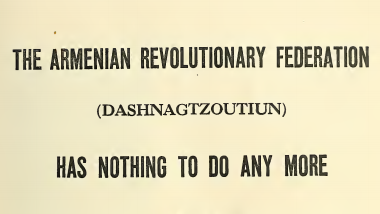 The Dashnaks and Hunchakians, Armenian socialist political parties, led 40 uprisings over a 20-year period, evidenced by documents issued during that time. 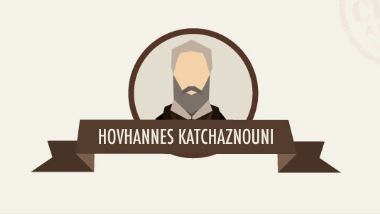 The Ottoman response in April 1915, in which Armenian intellectuals were arrested for inciting uprisings against the Ottoman government, was not a move to cleanse an ethnic group, but a response to a terrorist resistance launched against the Ottoman government. 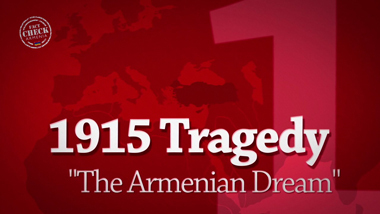 FALSE: Ottoman Armenians are the only group that suffered during the tragic events of 1915. 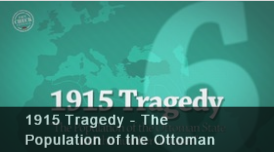 During this great tragedy, millions of former Ottoman citizens suffered, including Turks, Kurds, Arabs, and Armenians. FALSE: Turkey committed a major genocide on April 24, 1915. On April 24, 1915, the government closed Armenian political Committees and arrested – not killed or massacred – more than 2,300 Armenian leaders for carrying out these crimes against the government. Unfortunately, this warning was ignored by the Armenian rebels, who increased their attacks upon defenseless Turkish women and children. The celebration of April 24 as the day that the so-called “Armenian Genocide” began is but one of many efforts to propagandize and distort history by the Armenian diaspora. FALSE: 1.5 million Armenians were killed during the events of 1915. Dr. Justin McCarthy, an American demographer, Ottoman Empire expert, and historian at the University of Louisville, notes 1.3 million Armenians lived in the Ottoman Empire pre-World War I, half of which resided in warzone areas. As such, McCarthy argues, 1.5 million Armenians could not have been killed during the 1912-1922 period. By his accounts, the number of Armenians casualties is closer to 600,000. Prominent scholars, such as British historian Arnold Toynbee, have since confirmed McCarthy’s figure. But in discussing the Armenian casualties, we cannot overlook the two to three million Ottoman citizens, Muslims, Jews, Kurds, and Christians, who too lost their lives— a count far higher than the total Armenians killed. Yet, no matter the lives lost, no matter which side one stands on, a common school of thought holds: 1912-1922 reflected a grim period for Turks, Kurds, Arabs, and Armenians alike, and for humanity as a whole. The events of 1915 were far more complex than what has been reported in the past and it is important that we recognize this was not as simple a scenario as the Armenian lobby would have us believe. 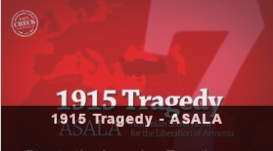 Despite the propaganda being pushed by a powerful and well-funded Armenian diaspora, the series of events in 1915 and beyond resulted in losses of life on both sides of the conflict. We cannot diminish the suffering that the Armenians faced, but we must acknowledge that millions of Turks, Kurds, and Arabs were also killed during this conflict. For nearly a century, the Armenian lobby has attempted to portray these actions as a willful, deliberate attempt to commit genocide of the Armenian people – a specific crime that is defined by international law. Nothing could be further from the truth, and a detailed examination of the broader context of history paints a vastly different picture. COUNTRIES have NOT recognized ​the Armenian Genocide Allegation. There is no legal consensus on the tragedy of 1915 because even though the Armenian lobby has been misrepresenting the facts for nearly a century, history – and the law – tells us. otherwise. 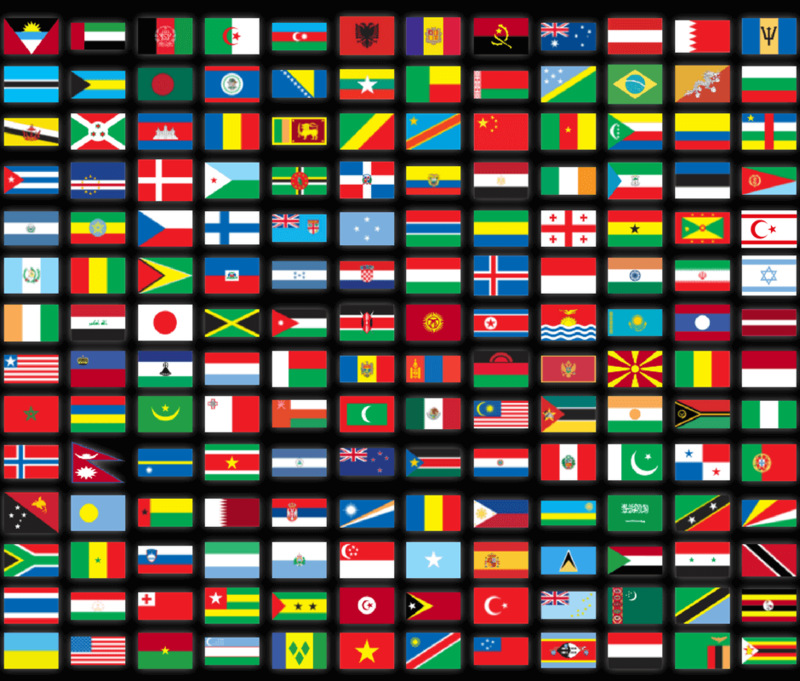 International courts have never designated these tragic events as genocide. The definition of “genocide” falls under strict criteria, as detailed in the Convention of Prevention and Repression of Crime and Genocide, a resolution approved by the United Nations General Assembly on December 9, 1948 and, consequently, signed and ratified by Turkey. Intent to destroy part of or the entire group. According to these criteria, homicide becomes genocide when intent to cause physical destruction —whether latent or apparent—is directed at members simply due to their affiliation with a national, ethnic, racial or religious group. On April 24, 1915, Interior Minister Talat Paşa ordered the closing of the Ottoman government’s Armenian Committees, and the subsequent arrest of more than 2,000 leading Armenian intellectuals. As detailed in documents of the time. “[The] Government will take necessary measures, if the Armenians continue to backstab the Ottoman State and to kill Turks.” It was not until May 1915 that the government issued an order to relocate Armenians, stemming from the Turkish Nationalists’ concern with Armenians’ political allegiance to Russian forces. A century later, Armenians today continue recognize April 24 as the anniversary of what many refer to as the Armenian Genocide. This falsehood lies at the root of Armenian propaganda. The relocation mandate, known as the “Relocation Law” called for military measures to be used against individuals who resisted the government. The law came in response to a series of violent uprisings by the Armenians, notably the Armenian rebels who crossed military lines to aid Russian forces in their takeover of the eastern city of Van. The relocation order extended across conflict areas in which Ottoman forces feared Armenian separatists were collaborating with the Russians in their invasion of the Ottoman lands. Catholic and Protestant Armenians were initially excluded from the mandate; however, those tied to perceived violence would later be relocated as well. The notion of the “Armenian Holocaust” is a term with no foundation or reference in the primary texts of the time. The re-settlement process extended from May 1915 until October 1916. The government’s shift in policy and order for relocation was a response to secure the states facing threat. It therefore was not the Ottoman Empire that changed its attitude, but rather the Armenians, deceived by the promise of independence promoted by Russia and the Triple Entente. Historians and scholars suggest anywhere from 600.000 to 1.5 million Armenians lost their lives from 1912-1922—numbers that vary according to the source reporting. 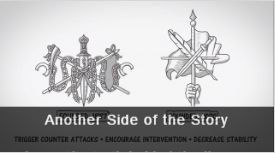 Historical statistics, therefore, are critical in addressing the casualties incurred surrounding the events of this period. The number of Armenians relocated remains a contested statistic. Armenian committee members reference war and government records, as well as church statistics. However, the total number they cite often exceeds the total Armenian population that lived in the areas before the relocation mandate was enacted. While the majority of the resettlement process “continued in a regular manner,” casualties did occur as a result of war circumstances. It is estimated that 40,000 Armenians lost their lives during this relocation. - Many other Armenians are believed to have fled to either Russia or to Western countries, including the Unites States. In addition, 50,000 Armenian soldiers serving in the Ottoman Army joined the Russian forces and 50,000 Armenian soldiers fled to America for training to fight against the Turkish Army. DID THE ARMENIAN CASUALTIES AMOUNT TO 1.5 MILLION? Immediately following the war, Armenians claimed that as many as 600,000 had been killed. Later, they adjusted the number to 800,000. Now, their number lies at 1.5 million. The 1918 edition of Encyclopedia Britannica said that 600,000 Armenians had been killed; in its 1968 edition, this was raised to 1.5 million. However, going by historical and verified statistics, it remains factually incorrect to claim 1.5 million Armenians died during the events of 1915, as sourced by documentation citing the less than 1.5 million Armenians that lived in the Anatolian region.